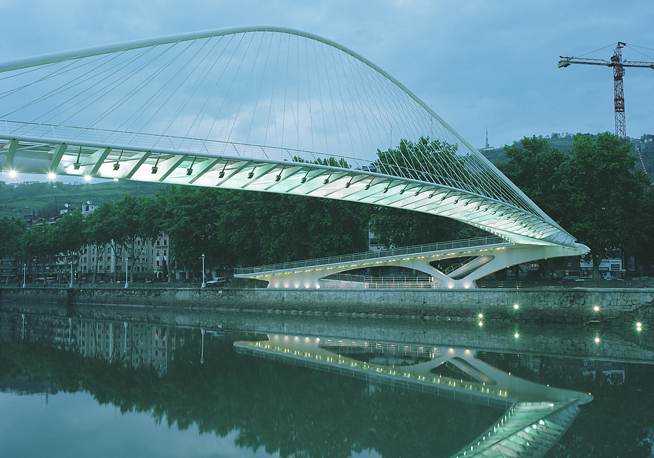 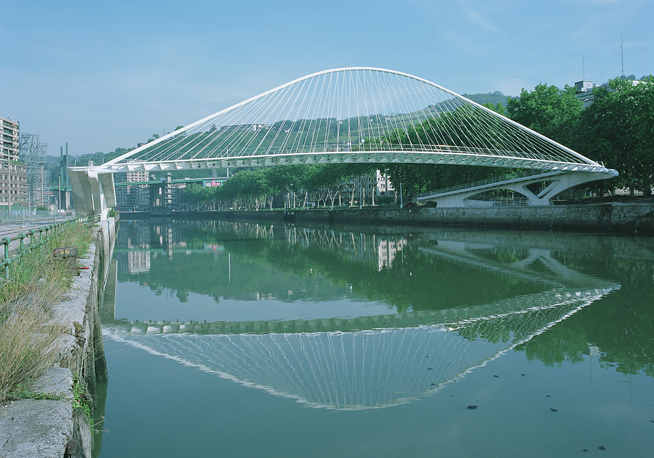 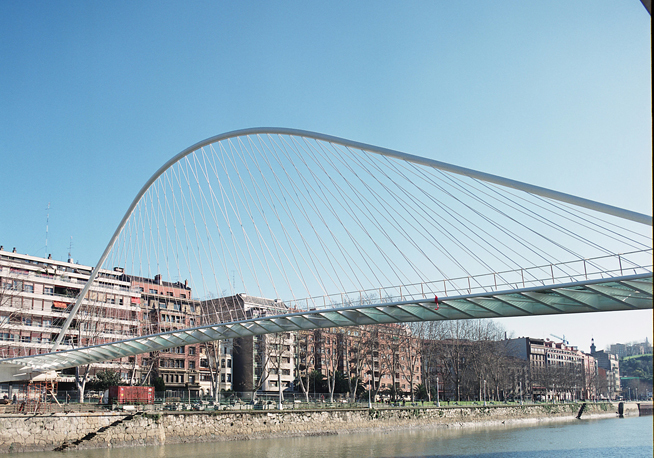 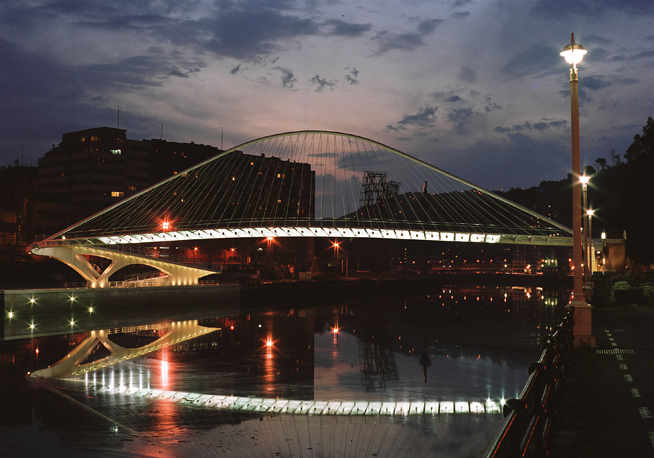 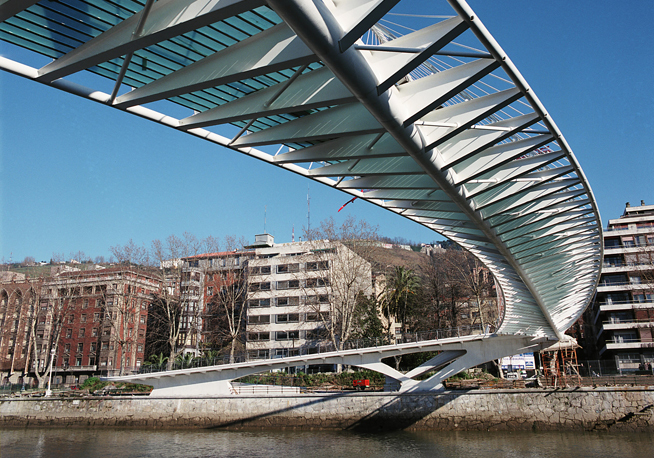 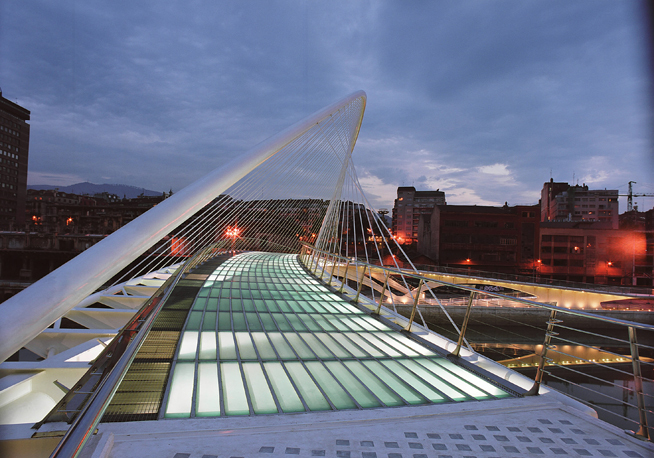 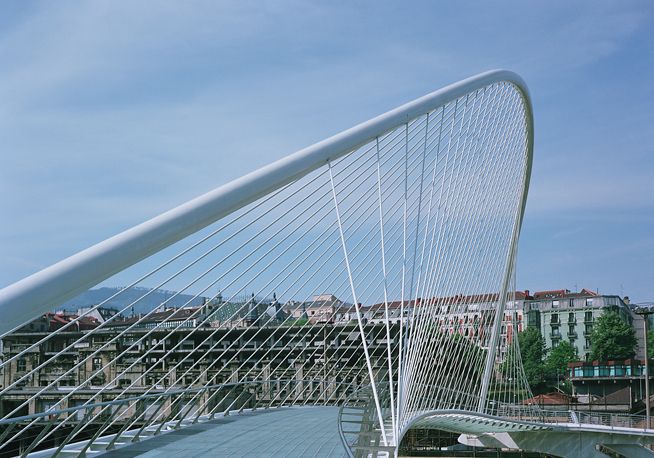 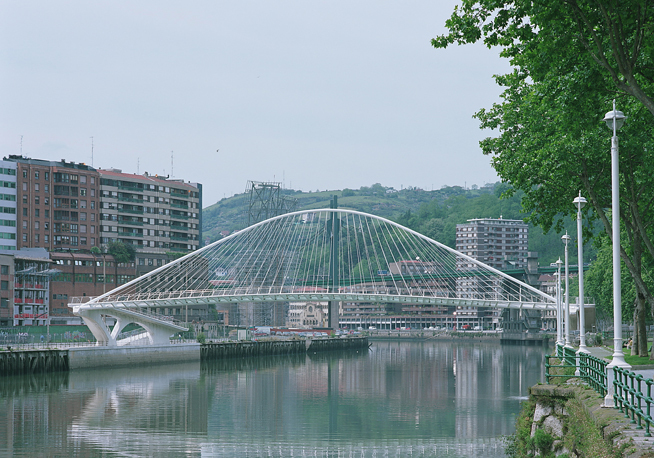 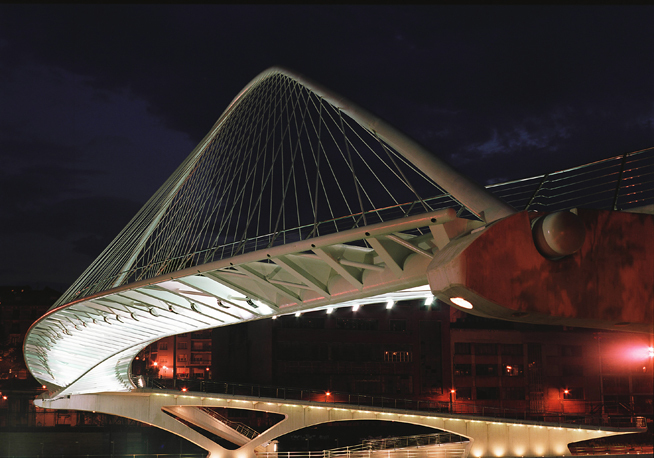 The Zubizuri, also called the Campo Volantín Bridge, is a tied arch footbridge across the Nervión River in Bilbao, linking the Campo Volantín right bank and the Uribitarte left bank of the river. 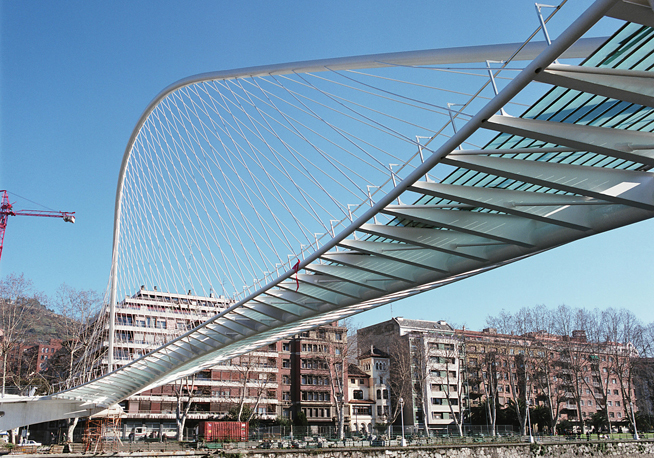 The steel arch, which has a 50-cm thick circular section, has a final height of 15 metres. 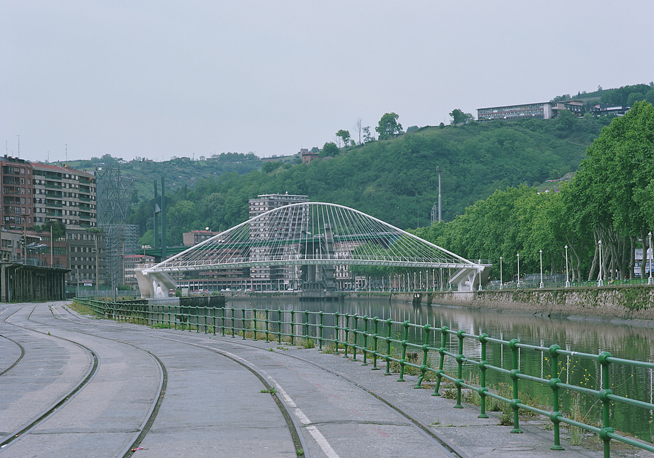 The entrance, with a total length of 75 metres, rises to 8.5 metres with respect to its highest water level to make way for boats passing underneath the bridge. 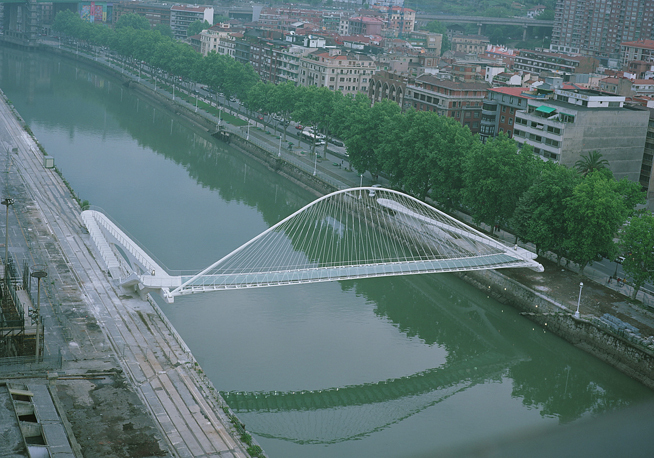 This project was completed in 1997.